Armen was born in 1988, trapped in a collapsed building the night of the earthquake, and has spent much of his life working to improve conditions in his hometown of Gyumri. He studied in both Armenia and the US, receiving degrees as an interpreter and in journalism and public relations. In 2015, he became administrative coordinator for Gyumri Project Hope. This nonprofit was founded to analyze existing challenges and opportunities for the city and find solutions that target development and economic growth through tourism, urban renewal, and cultural development. Armen founded Travel Gyumri, which provides the latest information on Gyumri and the Shirak province. He is also an avid photographer and is working on a photo documentary initiating empowerment for young rural women who are bound by untouched traditions and strict rules. Armen works for the City of Gyumri, currently in the Mayor’s office. He is AiP's onsite project partner. Vahagn is a Gyumri native with bachelor & master’s degrees as an Artist- Painter, and a degree in museology. Since 2010 he has served as Senior Lecturer at the Gyumri branch of Yerevan State Academy of Fine Arts. In 2011, he co-founded the Museum of Gyumri Centre of Contemporary Arts where he serves as volunteer director. He became the Director of The Gallery of Mariam and Eranuhi Aslamazyan Sisters in 2015. Vahagn is active in a wide variety of volunteer activities, including implementing international intercultural programs aimed at youth cultural development, and using intercultural dialogue for conflict resolution. He served as international coordinator of “CAUCULT” EU Eastern Partnership Youth Program. Vahagn has shown his art in numerous international exhibitions. Join the National Assoc. for Armenian Studies and Research and become a corporate sponsor. Action is needed NOW to save Gyumri’s last remaining economic resource. Learn building conservation skills as you join efforts to save fabulous historic architecture that holds the key to Gyumri’s economic growth. 2018 marks the 30th anniversary of the Spitak earthquake in Gyumri, when 25,000 people died, 140,000 were injured and 16,000 rescued from collapsed buildings. Today the community’s population and economic health are in decline and rebuilding skills scarce. Few organizations have invested efforts into capacity building for Armenian nationals. Join AiP and community members to revitalize Gyumri through heritage tourism. AiP’s hands-on example is allowing residents to envision a new way to approach their crisis, seeing that self-reliance and initiative can create positive change. Our jammers demonstrate the remarkable accomplishments possible with onsite training combined with hands-on work. 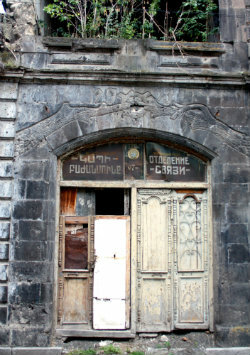 AiP began building conservation efforts in Gyumri in 2011. We continue to expand our ambitions and strive to make a greater impact on the extensive needs of Gyumri and surrounding rural communities. The focus must be on changing residents’ perspective while creating jobs that provide a sustainable income. Gyumri, Armenia, is losing its battle against job loss, depopulation and economic decline. We will continue work started in 2018 at the Gallery of Mariam and Yeranuhi Aslamazyan. This architecturally significant structure houses a valuable art collection and provides educational and hands-on programs for school children and the public. In 2017, roughly 4200 students and community members were served. The Gallery had 10,180 visitors. Conservators from Gyumri will teach AiP teams of interested community members and international volunteers. This hands-on training and onsite work experience will increase skills, boost resumes and provide insight into a career in building conservation for both international and local volunteers. I was able to learn so much more than I ever would in a classroom and I can’t wait to share what I learned. The success of the balcony project will initiate the next phase of work. Our onsite partner, Armen Hovsepyan, will identify local homeowners wanting to repair their historic residence and establish a small B&B in extra rooms. This will serve as a model for small business development that provides a sustainable income for both owner and employees. The goal is to ignite entrepreneurial potential among Gyumri residents and generate restorative development in the economy through well-managed heritage tourism. AiP’s vision is to establish a summer field school that provides hands-on experience for university students, who will provide support for residents as they repair historic homes and develop small businesses. Contact us with any questions, and then register online. Flights to Armenia arrive in Yerevan at Zvartnots International Airport where a local project partner will meet you. Plan to arrive on Sunday, May 5 (or August 11). 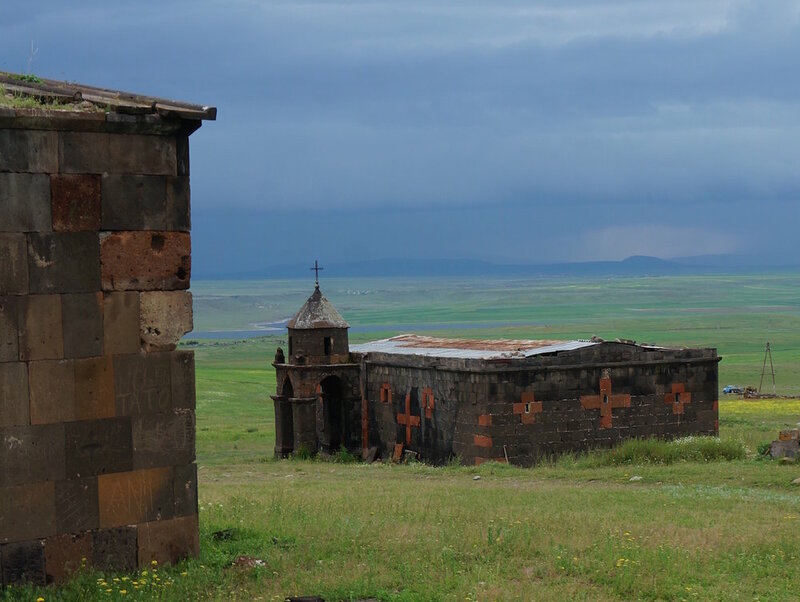 Most flights arrive very early morning, so you will be met at the airport and driven directly to Gyumri. If you arrive earlier and would like a hotel room reserved in Yerevan, let us know when you register. From the US, the most affordable flights usually fly through Qatar, which has a new international airport. A visa may be required depending on your country of origin. In May 2018, travelers from the US did not need a visa. Be sure to check the visa requirements for your country, as requirements may change. For departure, you will stay in a hotel in Yerevan the night of May 16 (or August 22) and take a taxi to the airport to depart on May 17 (or August 23). Bring clothing that is appropriate for the weather and also protective while working. Sturdy close-toed shoes are required for working. Rain gear is recommended, especially for the May session. Armenians are typically well dressed and do not wear apparel that is very revealing. Please be considerate of these preferences and dress somewhat conservatively. My trip to Armenia was the most unique thing I’ve ever done. It gave me a new perspective on the world. While volunteering I got to meet many local families. They have suffered so much yet maintain their strength of spirit and generous attitude. In Gyumri, lodging is provided at one of the local hotels, conveniently located within walking distance of the Kumayri Historic District, the outdoor market, restaurants, museums, and ancient churches. Breakfast is provided at the hotel. Lunches and dinners at local restaurants provide a delicious variety. After settling in on Sunday, we will enjoy a leisurely walking tour of some city sites. Work begins Monday and continues for 8 days, May 6-13 (or August 12-19). During this time several special activities and short excursions to historic sites are planned. Following our time in Gyumri, we will tour Armenia for 3 days, discovering even more of this beautiful country. Your tour will be led by a trained tour guide from Gyumri Travel. The tour ends in Yerevan on May 16 (or August 22). Departure is May 17 (or August 23). 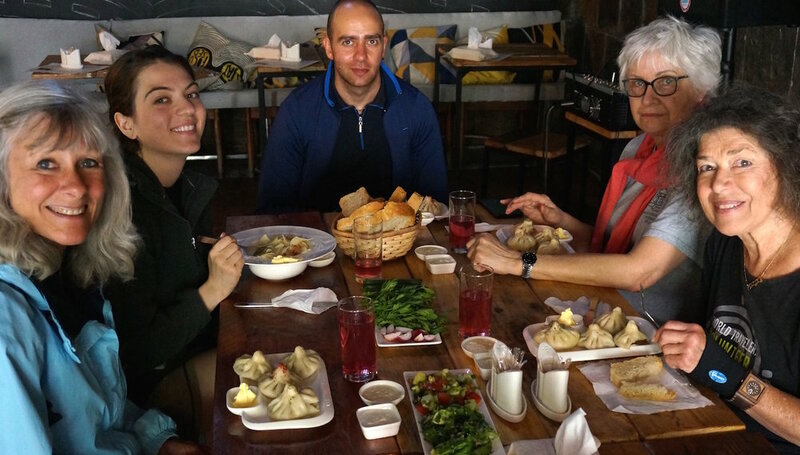 If you’d like to explore even more of Armenia, AiP’s partner – Armen Hovsepyan – is a remarkable tour guide with a wealth of knowledge. He offers a variety of 1-4 day Optional Tours, ranging from monasteries to wine & cheese to music & art. Immerse yourself in one of the world’s ancient cultures. Book now. Join us at this important building conservation project – Register today!